Stop by our dealership and discover our great offers at Estrie Toyota. Check out this amazing used Toyota Camry 2018 near Granby. Inspected and certified by our experienced technicians, the model has logged 19857 km. You can buy this pre-owned Toyota Camry 2018 at a great price of $30995. It's a Sedan with 4 doors, Automatic transmission and Front wheel drive. This Toyota Camry 2018 is powered by a 2500cc engine that runs on Unleaded fuel. If you'd like to learn more about this used Toyota Camry 2018 for sale in Granby, don't hesitate to contact us by phone at 450 378-8404 or on our web site at http://www.estrie-toyota.qc.ca. FINANCEMENT DISPONIBLE SUR PLACE POUR 1ÈRE 2E ET 3E CHANCE AU CRÉDIT, CERTIFIÉ ET INSPECTÉ EN 160 POINTS, BALANCE DE GARANTIE DE TOYOTA CANADA TERMINANT LE 5 AVRIL 2023 OU 100 000 KM PROPULSEUR, JAMAIS ACCIDENTÉ CARFAX EN MAIN, DOSSIER DE SERVICE FAIT CHEZ NOUS, NOUS AVONS PLUS DE 50 VOITURES EN INVENTAIRE! NOUS PRENONS LES ÉCHANGES DE TOUTES MARQUES, VENEZ NOUS VOIR OU APPELEZ SANS FRAIS AU 1-855-229-5389 LES MEILLEURES VOITURES NEUVES FONT LES MEILLEURES VOITURES USAGÉES! Chez Granby Toyota, nous avons à c?urs la satisfaction complète de nos clients. Nous avons pignon sur rue au même endroit depuis plus de 43 ans et l'indice de satisfaction de notre clientèle en est une des meilleures de la région. De plus, nous sommes fières d'offrir à nos clients tout les services sous un même toit. Que ce soit pour acheter, vendre, faire nettoyer, entretenir ou réparer la carrosserie de votre véhicule. Vous pouvez aussi visiter notre site web granbytoyota.ca ou notre page Facebook FINANCING AVAILABLE ON THE SPOT FOR 1ST 2ND AND 3RD CHANCE ON CREDIT. CERTIFIED AND INSPECTED IN 160 POINTS. TOYOTA CANADA'S WARRANTY BALANCE ENDING THE 2023 APRIL 5 OR 100 000 KM PROPELLER GROUP. NEVER ACCIDENTED AND CARFAX VEHICULE HISTORY REPORT IN HAND. MAINTENANCE RECORD DONE BY US. WE TAKE EXCHANGES OF ALL BRANDS. WE HAVE MORE THAN 50 CARS IN INVENTORY! COME SEE US OR CALL WITHOUT FEES AT 1-855-229-5389. THE BEST NEW CARS MAKE THE BEST USED CARS! At Granby Toyota, our mision is the complete satisfaction of our customers. We have been in the same place for over 43 years and our customer satisfaction index is one of the best in the region. In addition, we are proud to offer our clients all the services under one roof. Whether it's to buy, sell, have your vehicle's body cleaned, serviced or repaired. You can also visit our website granbytoyota.ca or our Facebook page. Hello, I found this ad on Auto123.com. 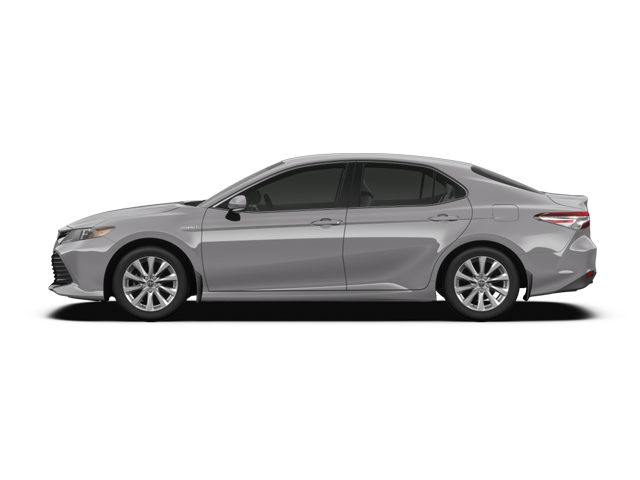 Could you please provide me with more information on the Toyota Camry 2018. Thank you!